Have you had a chance to test drive the Hyundai Elantra? if the answer is YES then we all know you're aware of all the great features it comes with. The smoothness of the vehicle is second to none and the best in its class. The Elantra is very affordable, even with optional features added in. What make things even better and greater is the option to buy a used Elantra and save even more money which everyone likes doing. Anyone looking for a used car in the Grants Pass, Klamath Falls and Medford Metro Area, OR is invited to Butler Hyundai where quite a few used models of the Hyundai Elantra are available for a test drive. 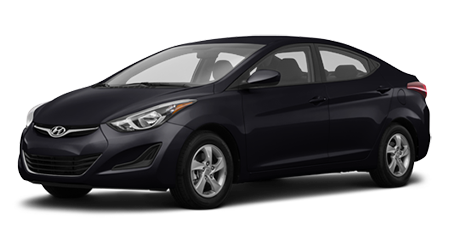 The used Elantra would be an awesome car for your teenager as a first time driver or your new graduate who is going off to college. Since the Elantra is a great gas saver, it would make the ideal car for every day long commute to and from work. Financing is made easy and simple for any car purchased at our dealership. You'll get the most affordable payments on your used Elantra and drive away feeling amazing. Your new purchase will leave you happy and ecstatic and the sleek ride the Elantra provides will leave you speechless. The Elantras come with a lot of good and useful features and each one of those can be explained to you by our expert sales team members. Come in and take a look at the used Elantra vehicles we have available, pick one and test drive it. We guarantee you'll love everything about it and even more so when we get to talking about the price. Give us a chance to impress you by offering you a used vehicle that looks phenomenal at a fraction of the cost. We would also like to see you back at the dealership when you bring your Elantra in for service. Our technicians know and understand your Elantra therefore they will service it with utmost care.